Soulcalibur VI has added the haughty fencer Raphael to its ever-expanding roster. Raphael made his debut in SoulCalibur II, and has been a part of every entry in the series since. You can watch Raphael deliver elegant destruction, below. As a master of the rapier, his fighting style is that of a fencer, delivering deadly blow to opponents through powerful thrusts and slashes. Processing great speed and agility, Raphael is at once difficult to hit and defend against. Yet his life has taken many twists and turns, from noble family member to living as a vagabond in Spain. Where ever he ends up, more about Raphael will be revealed in SoulCalibur VI. Bandai Namco doesn’t mention it in their bio, but it’s been hinted since SoulCalibur III that Raphael may, in fact, be a vampire. Based on the new trailer, it looks like SoulCalibur VI may downplay the whole vampire thing, but expect a few more teases to that effect. In addition to the newly-revealed Raphael, Cervantes, Astaroth, Seong Mi-Na, Voldo, Talim, Maxi, Yoshimitsu, Sophitia, Mitsurugi, Kilik, Nightmare, Xianghua, Ivy, Zasalamel, Siegfried, Taki, the Witcher series’ Geralt, and new characters Grøh and Azwel will be part of SoulCalibur VI’s launch roster. Returning character Tira will be released later as DLC. 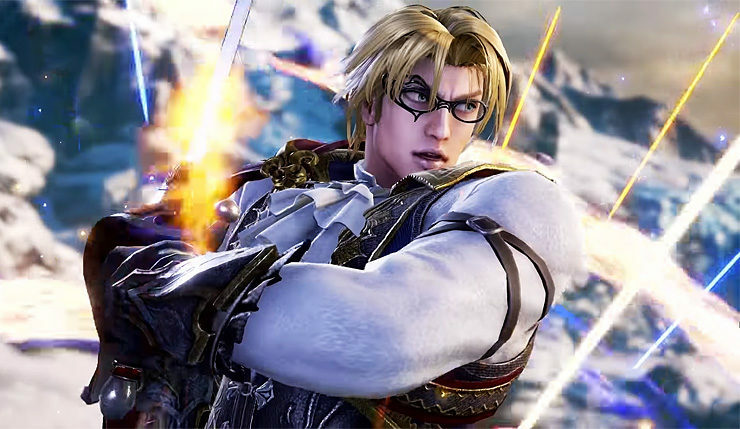 That’s 21 launch fighters revealed – based on character select screens seen at preview events, it’s expected SoulCalibur VI will launch with 23 characters.